Fort Charlotte, constructed during the governorship of Lord Dunmore (1787-1796), was named in honor of the wife of King George III. There are actually three forts: Fort Charlotte, the eastern section, Fort Stanley, the middle section, and Fort D’Arcy, the western section. The building of the forts, out of solid rock, began in 1787 and was completed in 1819. A dry moat surrounds Fort Charlotte and it is spanned by a wooden bridge on the north side. The forts and military installations in New Providence and throughout The Bahamas formed such an insurmountable defense system that potential invaders were discouraged, and, as a result, these forts never fired a gun in battle. 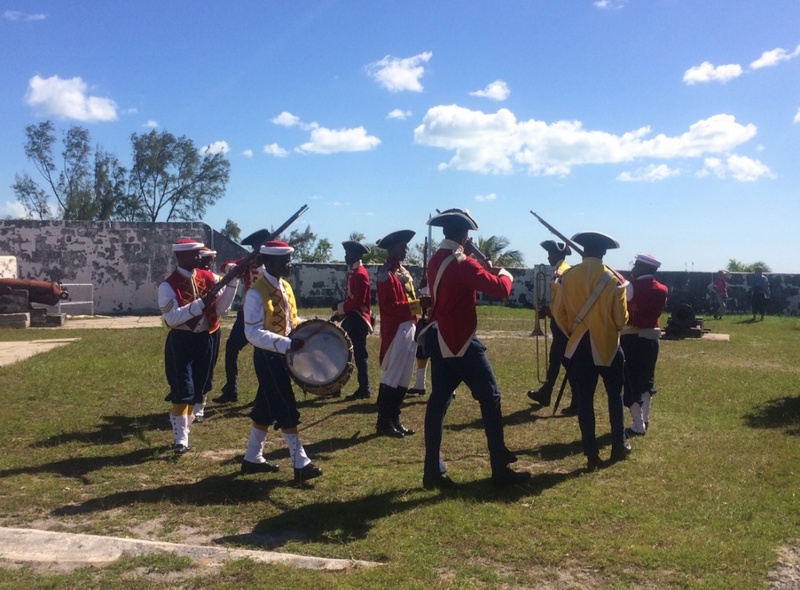 Every Monday and Wednesday, the Royal Bahamas Defense Force (RBDF) Rangers perform military drills, play music, and fire the cannon (12:00 pm) in West India Regiment uniforms. Staff of the Antiquities, Museums , and Monuments Corporation (AMMC) are dressed in period costumes to show how people dressed back then and what life was like. Admission to this event is $1.08 (including VAT).